The San Francisco market over the past year has continued to be very strong, and Presidio Heights is no exception. With its proximity to top restaurants, hip boutiques and the Presidio, this neighborhood remains a coveted place with luxury values. Over the past year (October 2012 – October 2013), 22 homes have sold “on the market” in Presidio Heights. There have been a number of sales “off market” as well. These “off market” sales are sales of properties that are not listed in the Multiple Listing Service (MLS), which advertises all properties to agents and the public. Instead, the properties are informally marketed to agents. Only data for “on the market” transactions is available, and so the following analysis is only based on these transactions. The average home sales price in Presidio Heights for the past year is $6,385,000, compared to $5,004,409 for the prior year (October 2011 – October 2012). Therefore, the average sales price for a home in Presidio Heights has gone up 28% between the past year and the prior year. The highest sales price in the past year was $18,000,000 and the lowest sales price was $2,550,000. The average time on the market for these homes has been at a relatively fast clip of 45 days compared to the prior year’s 58 days, with some selling before they even hit the market and some only taking several weeks to sell. The same number of homes sold over the past year as the prior year. 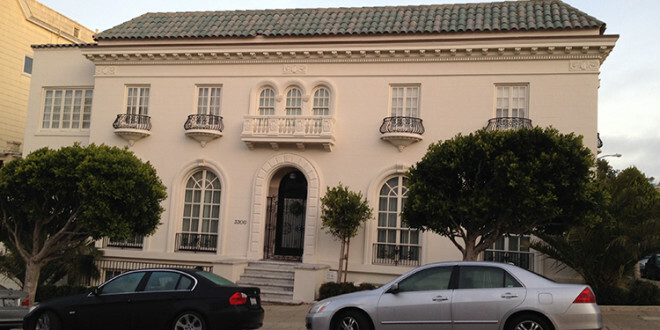 Over the past year, there have been 27 sales of condominiums in Presidio Heights. The average sales price is $1,613,667, down 11% from the prior year’s average of $1,807,033, with the highest priced condo selling for $3,000,000 and the lowest priced selling for $639,000. The average time on the market has been 42 days compared to 54 days the prior year. There were substantially more “on market” sales in the past year, at 27, versus 15 in the prior year. In conclusion, over the past year, we have had a market moving even faster with less time on the market for homes and condos. While the average price of homes in Presidio Heights has gone up, the average price for condos has gone down. With the dearth of inventory, it is likely that this neighborhood home market will continue to go up in value. Next: Is Mission Terrace the New Glen Park?